On Friday, May 5, a band of witches will take over the S.P.A.C.E. Gallery on Pine Street in Burlington. That’s right, witches. Kind of. 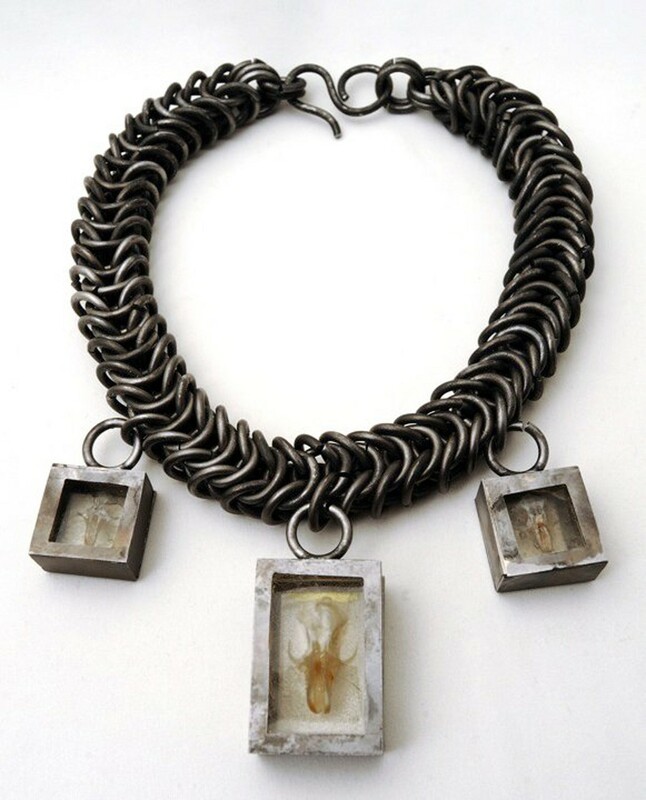 The show, titled “Conjuring: She Rises,” is a group effort loosely curated by artists Beth Robinson, Jules Polk, Morgan Stark and Athena Kafantaris. “Curated” in the sense that those four women created the theme and selected the artists, but they aren’t exerting much influence beyond that. Timed to coincide with the 325th anniversary of the Salem witch trials, the show connects the archetype of the witch to feminism through performance, real-time rituals, paintings, sculptures, photographs and video installation. Each artist has contributed content that indicates a highly personal and political motivation for participating. Whether it’s a display of wands or photographs of all-female ceremonies deep in the woods, the work is decidedly feminist and steeped in ritual. It proclaims creative female power in its many forms. 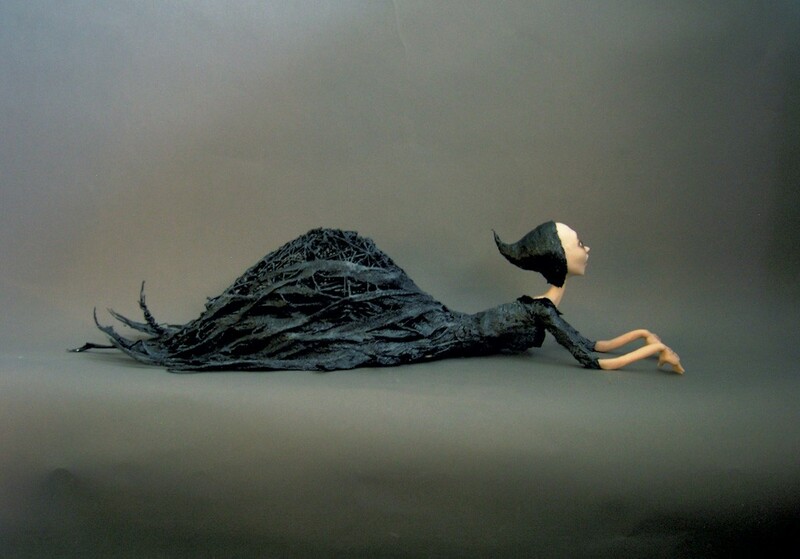 Robinson is known for her line of Strange Dolls, meticulously crafted figures with macabre costumes and makeup. The seed for “Conjuring” sprouted last year, she said, when Polk bought one of her creations. Polk collects kitchen witches — small dolls intended to ward off evil spirits — and thought Robinson’s doll would fit right in. Soon after, Polk proposed a show about kitchen witches and asked Robinson to curate it. The latter artist, who organizes the annual “Art of Horror” exhibition every October at S.P.A.C.E., said yes. Just not in the fall. October passed, and then came the general election, and Donald Trump became the president-elect. Suddenly, the proposed show took on a whole new purpose: showcasing female power. The “coven” doesn’t view the witch hunt as a simple metaphor. The artists draw a clear line from the historical persecution of healers, single women and females in general — under the umbrella term “witch” — to the manner in which the current administration incites hatred of immigrants and people of color, as well as disrespects women. “Conjuring” is perhaps the first show of its kind in Vermont, but witches are hardly new in art or feminism. Proponents of the latter have often touted the totem of the witch. A late ’60s activist group called Women’s International Terrorist Conspiracy From Hell — or W.I.T.C.H. — dedicated itself to overthrowing the patriarchy with a variety of witch-themed political stunts. These included a group hex on New York’s financial district on Halloween in 1968. Recently, a new branch of W.I.T.C.H. surfaced in Portland, Ore. It has adopted a slew of names that yield the acronym and penned a manifesto that claims the word “witch” for all those deemed “other” by a patriarchal and oppressive society. 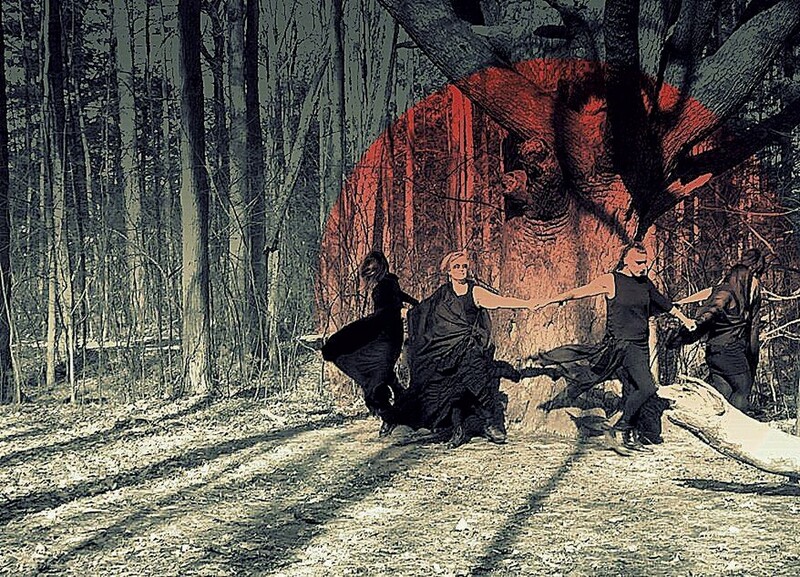 One project that arose from her inward retreat was a series called “Ashes,” for which Kafantaris videotaped women responding physically to the concept of “rebirth and regrowth after devastation.” Footage and stills from that shoot will appear in “Conjuring.” The image used to promote the show, of five women dressed in black, holding hands and encircling a tree, comes from Kafantaris’ series. Robinson is contributing a series of dolls titled “Madonna Whores.” They explore Sigmund Freud’s theory of the Madonna-whore complex, which holds that men can’t love what they desire or desire what they love. The dolls are depicted in various stages of restraint, silenced by ball gags, masks and duct tape. Anne Sexton’s “Buying the Whore” poem is inscribed on their pale bodies. In addition to the work on the walls, the opening reception for “Conjuring” will offer multiple performances. Kafantaris will perform as the elaborately costumed Throat of the Loon. The Accaliae, a theatrical belly-dancing group, will appear, and Stark will lead a ritual ceremony. Other participating artists include Wylie Sofia Garcia, Leslie Fry, Sarah Vogelsang-Card, Meredith Muse, Nyx Black, Melaney Pettini, Leslie Roth, Annika Rundberg and Nikki Laxar.